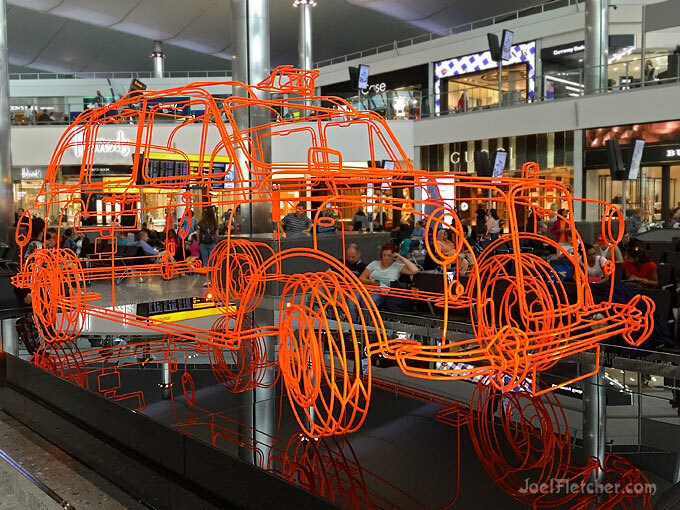 While waiting for a flight, I enjoyed looking at this amazing fluorescent orange wire sculpture in the middle of London's Heathrow Airport. It was created by Benedict Radcliffe, who accurately replicated the contours of the famous cab, from an X-Ray perspective. Photographed in 2015 with my iPhone.